Don't let the fun shape fool you, this ultra-sharp peeler peels vegetables effortlessly. Get the perfect peel every time with this ultra-sharp Veggie Peeler. Use the the julienne carrot peeler for perfect matchstick strips. 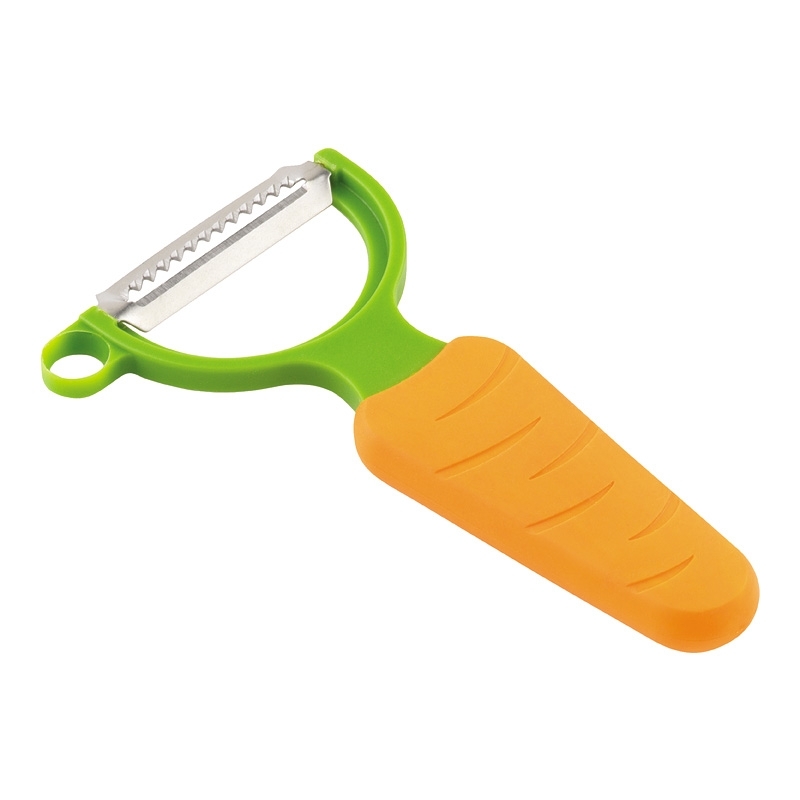 Julienne carrot peeler for perfect matchstick strips. Warning: Not for children - blade is very sharp. Peel away from your hands. Improper use may result in injury.